The theme for this week was an easy one. Well at least the possible subjects for the theme were quite obvious. So it became a tad necessary to make the image a tad different with the aid of post processing. I shot this one with the telephoto lens and intentionally kept only a single flower in the frame. 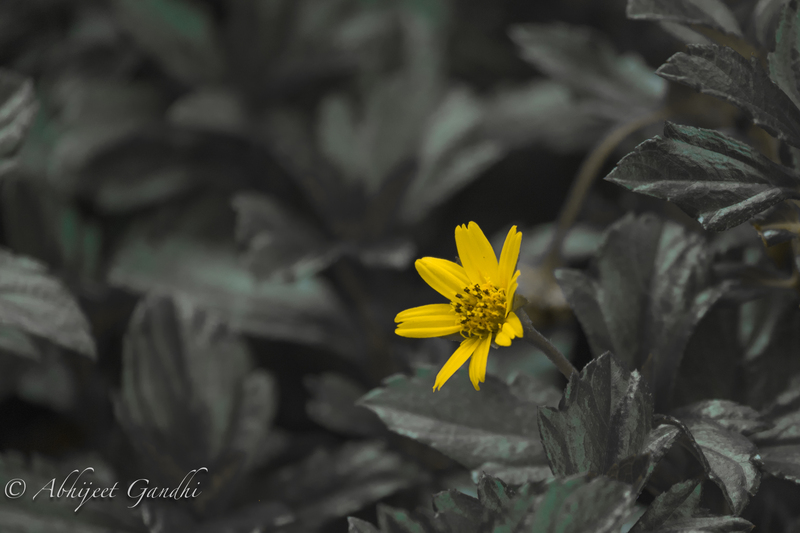 To accentuate the lone blossoming flower, I de-saturated all other colour channels except for yellow and a tinge of green.